Omg cutest color everrrrrrr!!! I’m so in love-can’t wait to show it off and have ppl ask me about it and where I got it! The material seems to be durable and of good quality-let’s see how long it lasts. Amazing quality product at a great price! I would recommend this to anyone, I have been using this frequently, it has a great battery life and is small enough to put in my pocket. It has a slim design that looks brilliant, it has great cloud production and is smooth. Todo perfecto,kit de smok espectacular! Buybest the BEST! Beautiful red color! Nice Kit! This stick v9 max is beyond my imagination, compact size with huge power. Nice Vape. After 1 day of usage I'm really satisfied with the product. The color is very nice and a good amount of smoke. I like this stick v9 max. I like all Smok brand items, especially this stick v9 max kit. Because this is the first tank has such big diameter and e-juice capacity, suit me much! Vendedor 100% original Súper atento y funciona perfectamente. Muy rapido a españa. Este kit max es super max ... Capacidad enorme, suficiente para mí. SMOK Stick V9 Max Kit, an upgraded version of Stick V8, which consists of 4000mAh built-in battery and 8.5ml huge capacity tank. It a newly designed pen-style vape kit with exquisite appearance. The 28mm big diameter and 8.5ml huge tank make it “Max”and obviously it can give you powerful and long-time vaping. What's more, it features intelligent LED indicator which can clearly show the conditions of itself. It will show the battery power status if you quick ly double-tap the button twice. 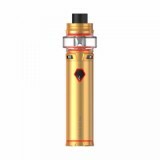 It will be a safe vape because of the multiple protection, such as 8 seconds cut-off, low wattage protection, battery protection and short circuit protection. 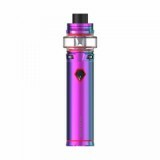 And what I want to stress is that you will be interested in the Stick V9 Max tank, the largest tank that SMOK ever have. It includes a 0.15ohm Mini V2 S1 single mesh coil and Mini V2 S2 quadruple coil. In a word, you will regret if you do not have this Stick V9 Max Kit. What are you still waiting for? 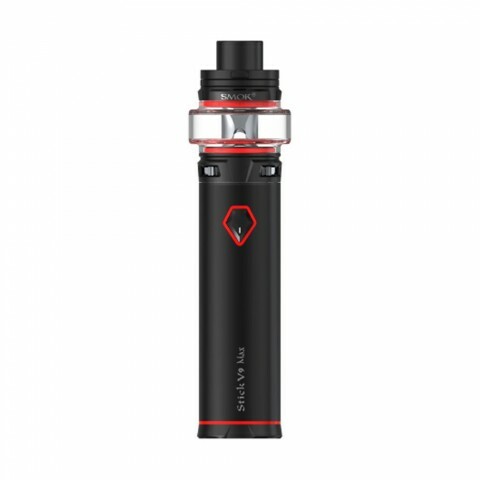 • 3 month warranty for stick V9 Max Battery. 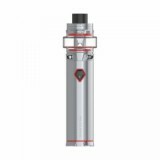 • Mini V2 S1 coil and Mini V2 S2 coil are also available in BuyBest.